Phillip Barsky from Manhasset High School. He’s a lyric baritone who will be attending the Peabody Institute of the Johns Hopkins University, where he’ll major in Voice Performance. 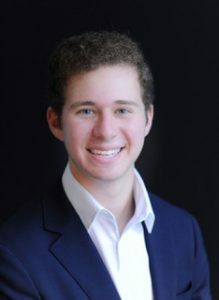 Phillip states: “I’m looking forward to focusing on opera as a vocal performance major… I intend to fully exploit all the performance opportunities available at the Conservatory and in the greater Baltimore community. As opera is a more recently acquired interest of mine, I expect to expand my repertoire with the world-renowned faculty at Peabody. I will be studying with baritone William Sharp.”. His accomplishments and awards include NY All State Choir soloist 2017, Long Island Choral Society Young Artists Competition – First Place, a partial scholarship to the Queens Summer Vocal Institute and Johns Hopkins University’s Premiere Talent Scholarship. Marley Anna Jacobson from Half Hollow Hills High School East. She’s a soprano and a cellist who will study music, vocal performance and public policy at Princeton University. Marley states that she aspires to perform professionally in opera and contribute to the beautiful classical art-form. In college she “looks forward to collaborating with new composers, performing innovative opera and exploring exciting musical trends”. She was a member of the All-State NYSSMA Conference Mixed Choir 2017 and won First Place that same year at the Schmidt Youth Vocal Competition in Washington DC. 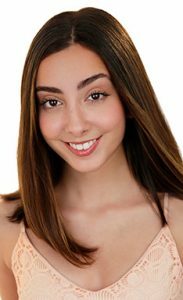 She’s also a Long Island Arts Alliance Scholar Artist, recipient of a USDAN scholarship, winner of an Otto Kahn Award, and she brings a strong record of achievement and performance in Musical Theater and Concert Choir. 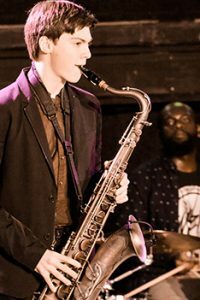 He participated in the All-State Solo Festival as a classical and jazz soloist in grades 10 and 11 and was Lead Tenor Sax Chair in the All County Jazz Band. He performs with the Stanton Anderson Band 2016 – present as lead tenor sax and with the Brandon Niederauer Band 2016 – present. He’s also performed at The Blue Note and Stephen Talkhouse. Soyoung Park from Great Neck South High School. 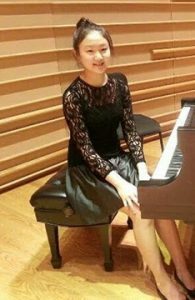 A pianist, she’ll attend Indiana University’s Jacobs School of Music and will major in Piano and Music Education, with a piano performance focus on Chamber Music and Music Education. Soyoung intends to become a College Music Professor and professional musician. She says, “Thank you very much for choosing me as the winner of Long Island Music Hall of Fame organization. I’m very honored to receive this prestigious scholarship. When I was waiting for my turn in the graduation ceremony, the life-review moments of past four years made me realize that I’m really graduating from high school. I’m very grateful to my parents and teachers who always have been guiding and supporting me over the years. Without their help and advice, it would’ve been very difficult for me to overcome the last four years of high school. I will continue to work diligently on both music and study in college to achieve my goals.” She is a 1st Prize winner in the 2018 New York Young Performers Prize Competition, a 2017 Division Winner for New York of the Music Teachers National Association Competition and has performed at NYSSMA Grade A+/100 on level 6 for the past four years. She also took part in the 2017 Young Virtuosos of Tomorrow Platinum Place Concert at Perelman Hall of the Kimmel Center. The LIMHOF Education Committee based selections on the completed application and a student essay on education and career goals, their high school transcript and a letter of recommendation from an individual who attested to the applicant’s commitment to a music career. For more information, contact LIMHoF’s Jeffrey James at 516-586-3433 or jamesarts@att.net. 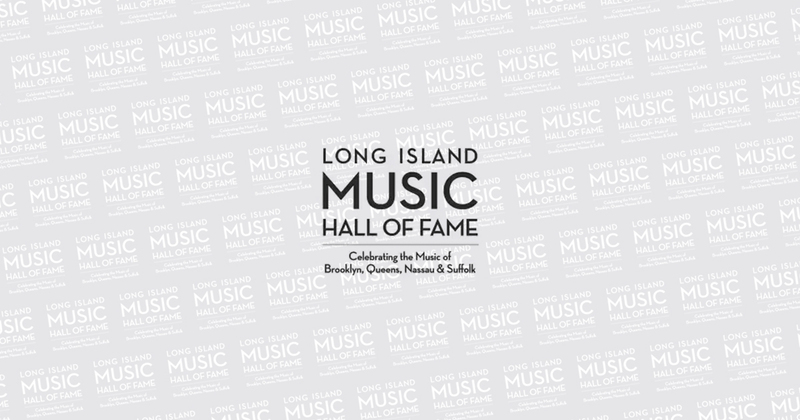 The Long Island Music Hall of Fame is a is a 501(c)(3) not-for-profit organization dedicated to recognizing the significant achievements of musicians who were either born or spent a significant part of their career on Long Island, Including Nassau, Suffolk, Queens and Brooklyn. Beyond the recognition of famed composers, musicians and artists, LIMHoF has made significant inroads in support of music education on Long Island, including Educator of Note recognitions, scholarships for music students, and a new mobile music museum designed for school visits. For more information on the LI Music Hall of Fame, visit their website at http://www.limusichalloffame.org/.